Օգոստինոսը եկեղեցու կողմից ընդունվել է որպես սուրբ, իսկ ավելի ուշ՝ 1298թ․, Բոնիֆացի VIII պապի կողմից ընդունվել է որպես դոկտոր։ Նրա օրը տոնվում է օգոստոսի 28-ին՝ իր մահվան օրը։ Համարվում է գարեջրագործների, տպագրիչների, աստվածաբանների, հիվանդ աչքեր ունեցողների, ինչպես նաև մի շարք քաղաքների ու թեմերի հովանավոր սուրբը։. 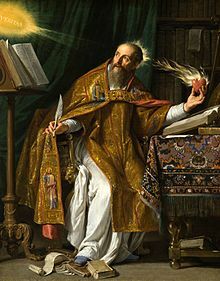 ↑ Jerome wrote to Augustine in 418: "You are known throughout the world; Catholics honour and esteem you as the one who has established anew the ancient Faith" (conditor antiquae rursum fidei). Cf. Epistola 195; TeSelle Eugene (1970)։ Augustine the Theologian։ London։ էջ 343։ ISBN 978-0-223-97728-0 March 2002 edition: 1-57910-918-7. ↑ TeSelle Eugene (1970)։ Augustine the Theologian։ London։ էջեր 347–349։ ISBN 978-0-223-97728-0 March 2002 edition: 1-57910-918-7. ↑ 9,0 9,1 St. Augustine of Hippo։ «On Rebuke and Grace»։ in Philip Schaff։ Nicene and Post-Nicene Fathers, First Series, Vol. 5։ Translated by Peter Holmes and Robert Ernest Wallis, and revised by Benjamin B. Warfield (revised and edited for New Advent by Kevin Knight) (1887 ed. )։ Buffalo, New York: Christian Literature Publishing Co.
↑ 12,0 12,1 12,2 Papademetriou, George C. "Saint Augustine in the Greek Orthodox Tradition". goarch.org Archived 5 November 2010 at the Wayback Machine. ↑ The nomen Aurelius is virtually meaningless, signifying little more than Roman citizenship (see: Salway Benet (1994)։ «What's in a Name? A Survey of Roman Onomastic Practice from c. 700 B.C. to A.D. 700»։ The Journal of Roman Studies 84: 124–145։ ISSN 0075-4358։ JSTOR 300873։ doi:10.2307/300873 ). ↑ "[T]he names Monnica and Nonnica are found on tombstones in the Libyan language—as such Monnica is the only Berber name commonly used in English." Brett, Michael and Fentress, Elizabeth (1996), The Berbers, Cambridge, Massachusetts: Blackwell, p. 293, 0631168524. ↑ Vesey, Mark, trans. 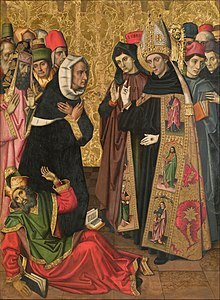 (2007) "Confessions Saint Augustine", introduction, 978-1-59308-259-8. ↑ Falbo, Giovanni (2009) Sant'Agostino patrono di Ostia. p. 8. ↑ Lancel, Serge (2002) Saint Augustine, Hymns Ancient & Modern, p. 5, 0334028663. ↑ 31,0 31,1 Power, Kim (1999) "Family, Relatives", pp. 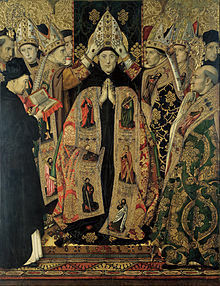 353–354 in Augustine Through the Ages: An Encyclopedia. Allan D. Fitzgerald, ed. Grand Rapids: Wm. B. Eerdmans, 978-0-8028-3843-8. ↑ Brett, Michael and Fentress, Elizabeth (1996) The Berbers, Wiley-Blackwell. pp. 71, 293. 0631168524. ↑ Knowles, Andrew and Penkett, Pachomios (2004) Augustine and His World. InterVarsity Press. Ch. 2. 9780830823567. ↑ 35,0 35,1 35,2 35,3 35,4 Encyclopedia Americana, v. 2, p. 685. Danbury, Connecticut: Grolier, 1997. 0-7172-0129-5. ↑ 41,0 41,1 Boyce, James (May 2015) "Don't Blame the Devil: St Augustine and Original Sin". Utne Reader. ↑ O'Donnell, James J. "Augustine the African", Georgetown University. Faculty.georgetown.edu. Retrieved on 2015-06-17. ↑ Ferguson, Everett (1999) Christianity in Relation to Jews, Greeks, and Romans, Taylor & Francis, p. 208, 0-8153-3069-3. 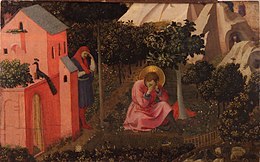 ↑ The historian Peter Brown places Augustine's garden conversion at the end of August, 386. Brown, p. 64. 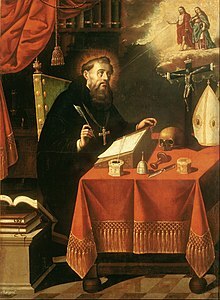 ↑ "St Augustine of Hippo" at PhilosophyBasics.com. Retrieved 30 September 2011. ↑ Augustine's tomb, Augnet Archived 22 February 2014 at the Wayback Machine.. Augnet.org (2007-04-22). Retrieved on 2015-06-17. ↑ Stone, Harold Samuel (2002) St. Augustine's Bones: A Microhistory (Studies in Print Culture and the History of the Book) Amherst: University of Massachusetts Press, 1558493883. ↑ Augustine of Hippo, De cura pro mortuis gerenda CSEL 41, 627 [13–22]; PL 40, 595: Nullo modo ipsa spernenda sunt corpora. (...)Haec enim non ad ornamentum vel adiutorium, quod adhibetur extrinsecus, sed ad ipsam naturam hominis pertinent. ↑ Augustine of Hippo, Enarrationes in psalmos, 143, 6. ↑ CCL 40, 2077  – 2078 ; 46, 234–35. 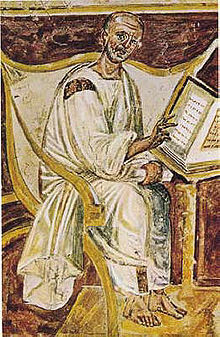 ↑ Augustine of Hippo, De utilitate ieiunii, 4, 4–5. ↑ Augustine of Hippo, De quantitate animae 1.2; 5.9. ↑ Augustine of Hippo, De quantitate animae 13.12: Substantia quaedam rationis particeps, regendo corpori accomodata. 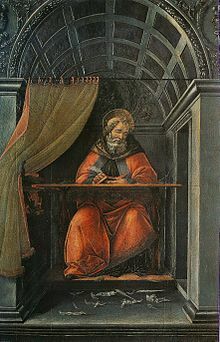 ↑ Augustine of Hippo, On the free will (De libero arbitrio) 2.3.7–6.13. ↑ Augustine of Hippo, "Of the Falseness of the History Which Allots Many Thousand Years to the World's Past", The City of God, Book 12: Chapt. 10 . ↑ Augustine of Hippo, De Sancta Virginitate, 6,6, 191. ↑ Non substantialiter manere concupiscentiam, sicut corpus aliquod aut spiritum; sed esse affectionem quamdam malae qualitatis, sicut est languor. 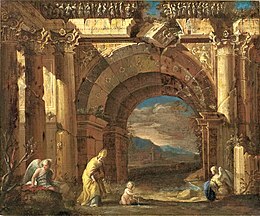 (De nuptiis et concupiscentia, I, 25. 28; PL 44, 430; cf. Contra Julianum, VI, 18.53; PL 44, 854; ibid. VI, 19.58; PL 44, 857; ibid., II, 10.33; PL 44, 697; Contra Secundinum Manichaeum, 15; PL 42, 590. ↑ "A Time For War?" Christianity Today (2001-01-09). Retrieved on 2013-04-28. ↑ Augustine of Hippo. Crusades-encyclopedia.com. Retrieved on 2013-04-28. ↑ "Saint Augustine and the Theory of Just War". Jknirp.com (2007-01-23). Retrieved on 2013-04-28. ↑ "The Just War". Catholiceducation.org. Retrieved on 2013-04-28. ↑ Diarmaid MacCulloch. The Reformation: A History (Penguin Group, 2005) p 8. ↑ Augustine of Hippo, City of God, book 18, chapter 46. ↑ Edwards, J. (1999) The Spanish Inquisition, Stroud, pp. 33–35, 0752417703. ↑ Carroll, James (2002) Constantine's Sword. Houghton Mifflin Harcourt. 9780618219087. p. 219. ↑ Paula Fredriksen, interviewed by David Van Biema, "Was Saint Augustine Good for the Jews?". Time magazine, December 7, 2008. ↑ Augustine of Hippo, City of God, Book I, Ch. 16, 18. ↑ Clark, E. ed. (1996) St. Augustine on Marriage and Sexuality. Washington, D.C.: Catholic University of America Press. ↑ 141,0 141,1 McCloskey, Gary N. (April 2008) Encounters of Learning: Saint Augustine on Education, Saint Augustine Institute for Learning and Teaching, Merrimack College. ↑ Wright, F.A. and Sinclair, T.A. (1931) A History of Later Latin Literature, Dawsons of Pall Mall, London, pp. 56 ff. ↑ Lal, D. (March 2002) "Morality and Capitalism: Learning from the Past". Working Paper Number 812, Department of Economics, University of California, Los Angeles.